Hi I am Matthew Killick owner of Brighter Electrical. We have been serving customers for over 30 years and reputation matters to us. We have knowledge and experience working on electrical projects ranging from domestic rewiring, installing new consumer units (fuse boards), Testing & inspecting (landlords certificates), additional sockets & lights, maintenance & repairs, Data & AV cabling, office refurbishments, electrical surveys and free quotes. 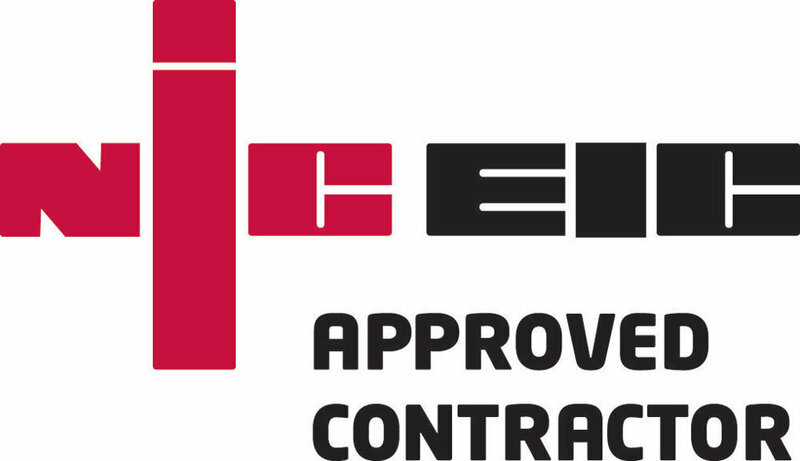 All of our electricians are qualified to the highest standards and work in accordance with guidelines from the current wiring regulations BS7671 as amended. 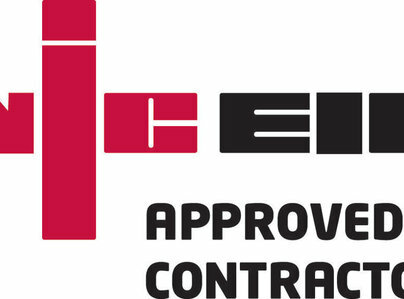 All are electrical projects are in South East, South West London, Kent and Surrey areas we are members of NICEIC approved contractor and Which trusted trader. If you would like to see more feed back please go are facebook page, google and which trusted trader websites. This is the second time I used this company. Matthew has been very helpful whenever I called him re: electrical work and advice re: electrical issues. He took time to explain things in simple terms. Both Matthew and Keith are professional. Approachable. Prompt arrival. Price reasonable. Did a good job in replacing a electrical cable done badly by previous electrician. No mess. Tidied after work. I have no hesitation using them again and would recommend them highly to others. Efficient, clean, polite and friendly. Matthew came when he said, diagnosed the problem and fixed. Had all equipment and parts with him. Delighted. Matthew and team did a fantastic job of replacing the original wiring in my 1960s property, along with correcting a few issues left by a previous electrician. Very professional, I trusted his advice. Friendly team, tidied up after themselves each day. Received paperwork promptly. Would have no hesitation to use again and recommend to others. Thank you! My husband and I used Matthew and Brighter Electrical to fully rewire our home two years ago. He and Keith did an impeccable job and we have used him several times since then, most recently to change a few sockets and wire in new lights. I couldn’t recommend them highly enough! A very quick response and most professional service and advice. Highly recommended. Very personable too. I had Matthew complete various small and more complicated electrical jobs for me on a flat I had just moved into. He was very knowledgeable and quick to respond to queries. The work was completed in a timely manner, and I was kept up to speed on cost as I had additional work done. I have no hesitation in recommending Matthew and his team. Matthew fitted a new light dimmer switch in my kitchen. 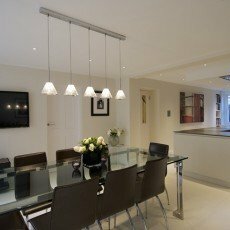 Whilst doing he recommended that the halogen bulbs be replaced with led bulbs and even provided them at cost. Communications were excellent and I would definitely recommend him. Matthew phoned me to say he was running ten minutes late, and turned up punctually. Gave me exert advice about replacing a bulb or fitting a new unit, and as it was over 20 years old I opted for the latter. Work carried out efficiently, and advice given about replacing my fusebox. Courteous and helpful, and no mess left. Very good in every way including aftercare service. I have high standards and Matthew met those in all that he. Have already recommended to others. 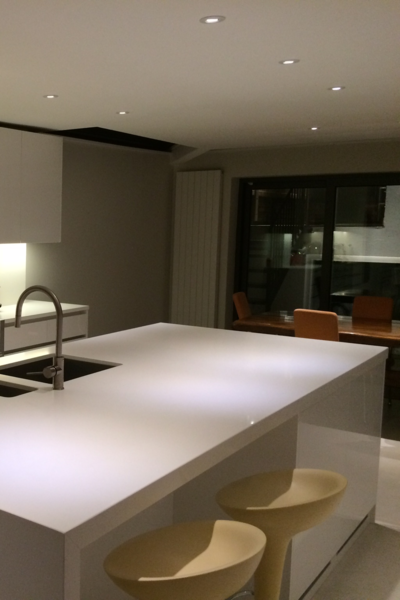 We are completely satisfied with all the work carried out by this company. From our initial enquiry Matthew quickly arranged a visit to establish exactly what needed to be done, answer our questions and give us advice in terms easily understood by us. The quote was detailed and when we accepted we were quickly given a date for when the work could commence. Matthew and Keith were professional, hard working, safety conscious, very thorough, tidy and kept us informed throughout. We cannot praise them enough, Matthew runs a really first class company.